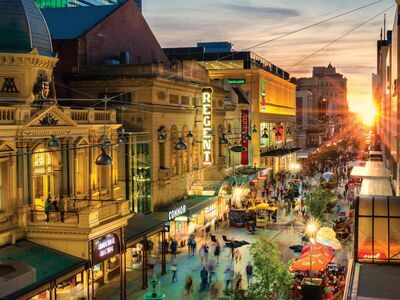 We invite you to join us to play your part and help show the world that Adelaide is a great place to live, work and visit. Be part of the community making Adelaide carbon neutral! Sign up and show your support to help make Adelaide the world’s first carbon neutral city! Going carbon neutral is good for all of us. It helps the environment and our economy, making our city a clean, green place to live and work. We all have a part to play in making Adelaide carbon neutral. So join us to find out what’s happening, who’s taking part and how you can get involved. By signing up, you will be committing to take meaningful action to reduce the carbon emissions in our city. You’ll have access to a marketplace of resources and readily available services to help with all your practical actions. Most importantly, you’ll be making real change in your community and leading the way for others to do the same. Together, we can make Adelaide the world’s first carbon neutral city. Sign up and play your part! Find out more about the Pathways. Find tools and tips on how you can take action. Use this handout to plan where you are taking action. For all the details, check out our Action Plan. Who’s already playing their part? Many organisations and individuals are already committed and contributed to making Adelaide the world’s first carbon neutral city. By joining the Carbon Neutral Adelaide Partnership Program, they have demonstrated their leadership to a low carbon future. 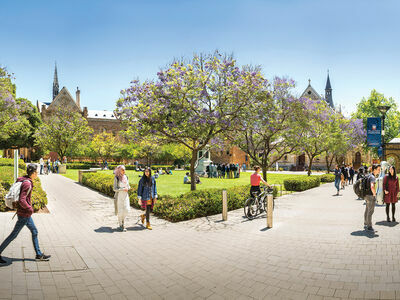 As a Foundation Partner, The University of Adelaide is leading the way as the first major institution to commit to Carbon Neutral Adelaide’s partnership program. 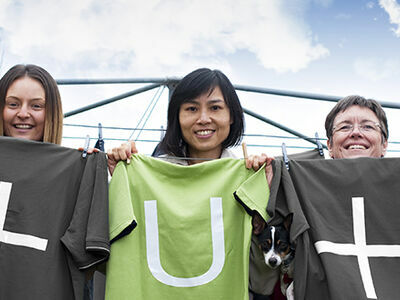 Uniting Communities is the first charity and SA organisation to go carbon neutral, reducing their carbon emissions by 34% in the past 5 years and saving $1 million to invest in their valuable community programs. 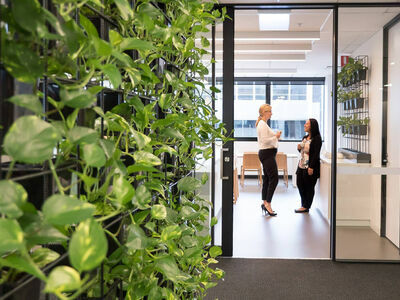 The City of Adelaide Carbon and the State Government have a shared aspiration for our city to be the first in the world to be carbon neutral.